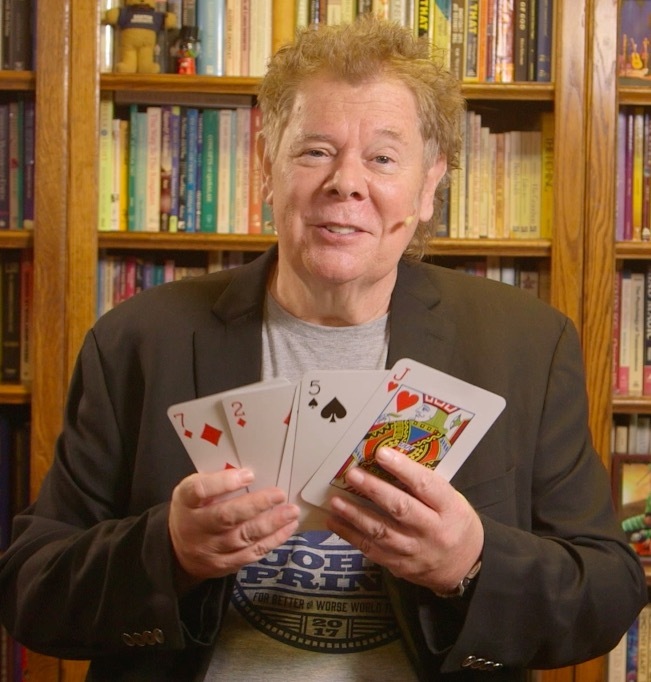 One of our best selling routines is my Ultimate Cards Across; it is visual, direct and a powerful piece of magic. A number of cards from a blue back packet of cards are invisibly passed into a small packet of red cards, all the while the cards are held by two spectators. The addition of the two color element and the elimination of any palming or false counts add enormously to the effectiveness of the effect. This is a really great “worker” routine for the pro, it went directly into the act of many performers around the world. 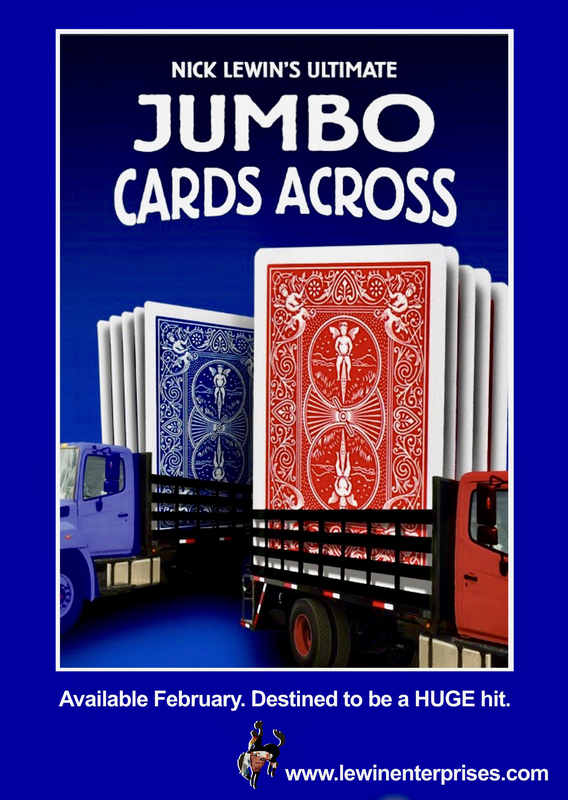 One question we have been repeatedly asked is, “Can you make a version with Jumbo Cards?” The answer is finally, “YES, WE CAN!” Several things made this new jumbo version possible, and we streamlined and improved the handling to take full advantage of the new cards supplied. 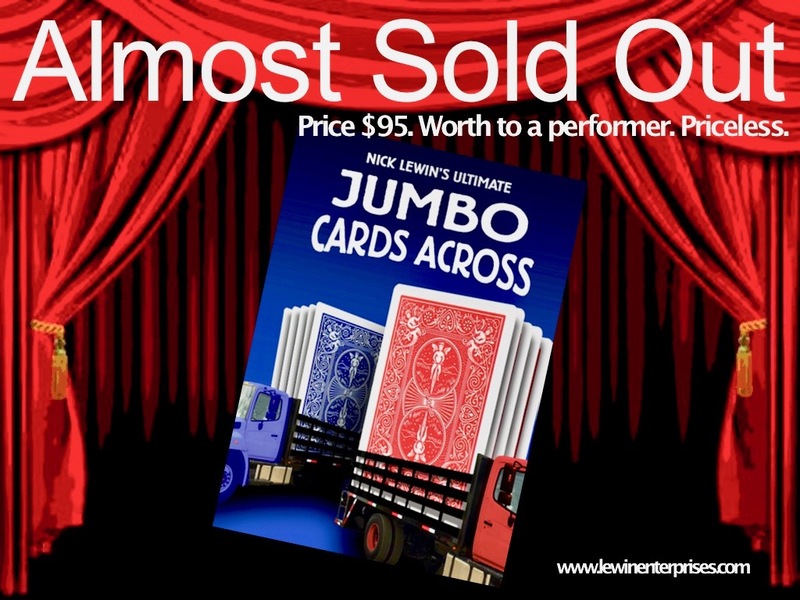 Nick Lewin’s Ultimate Jumbo Cards Across is ideal for performance in any conditions from close-up to theatre and can become a feature effect in the hands of any performer. The trick is unbelievable visual, very easy to perform and ideal for use with kids as well as adults. The routine can be seen easily in any environment and yet the props fit inside your inside jacket pocket. It is destined to become a modern day classic. The detailed DVD supplied teaches everything you could possibly need to know to present the trick correctly and effectively. The package comes complete with everything you need to perform the effect including the special cards which have been carefully constructed and handmade with genuine bicycle jumbo cards. These sets of cards are being manufactured in limited amounts and come with a special waterproof/airproof container to keep them in perfect condition. Price $95. Worth to a performer. Priceless.